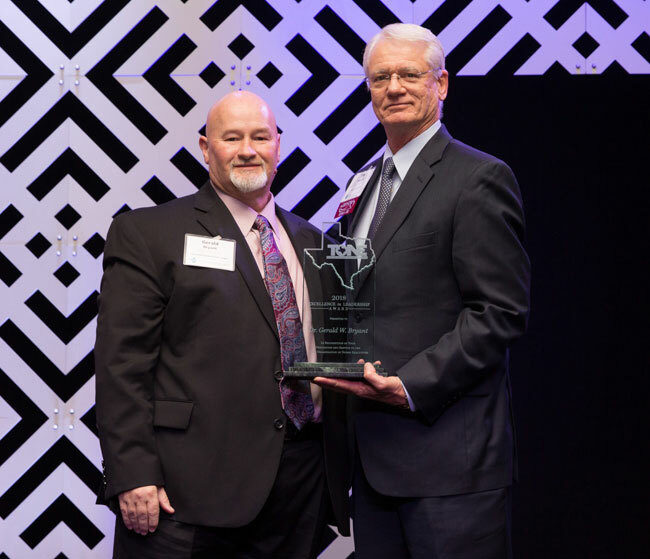 The 2019 TONE Conference was a great success! Read about some of the highlights here, and check out the photo album HERE. 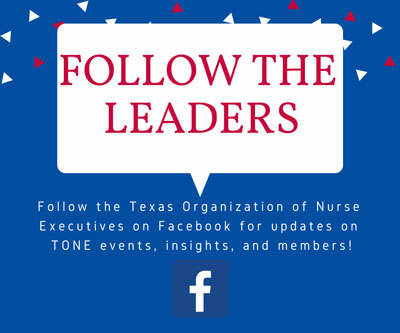 Thank you to all those who attended the Texas Organization of Nurse Executives (TONE) Conference on March 1. 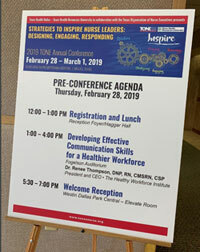 This year’s conference, “Strategies to Inspire Nurse Leaders: Designing, Engaging and Responding,” completely lived up to the title and delivered multiple strategies to engage and inspire nursing leaders. From effective communication skills in the pre-conference by Dr. Rene Thompson to our keynote on values-based leadership by Dr. Bob Dent and ending with an energetic self-reflection by Libby Spears, we were truly inspired by tactics and ideas to improve our personal performance. In a recent conversation with my Chief Nursing Officer, he mentioned the differences between coaches and cheerleaders. We were discussing leadership candidates and the importance of the coach. In an analogy of sports teams and the 2 roles they play, he described the characteristics of leaders in the coaches and cheerleaders. He mentioned how good leaders exemplify good coaches. I started reflecting on my own personal leadership and about who I hire into leadership roles. In an article by Patrick Fiorenza (2014), he discusses 3 characteristics of good leaders. He stated that if managers want to become better leaders, they should view their roles in these 3 domains: the critic, the cheerleader, and the coach. Each one represents an important aspect of good leadership. 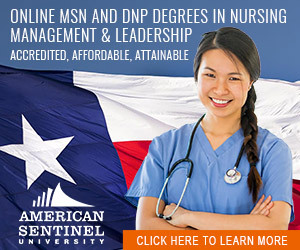 TONE offers four $1,500 nurse scholarships per year that are available to TONE members pursuing advanced degrees. The scholarships are awarded on the basis of academics, achievement, community service and financial need. Congratulations to our four scholarship winners for 2018.
the award by Tone President Dr. Tim Howell. 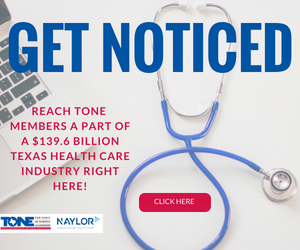 Learn more about the Nurses on Boards Coalition and how you can be involved. How much progress has been made in nursing toward the IOM’s Future of Nursing recommendations? The Robert Wood Johnson Foundation’s Dashboard of indicators reveals where advancement has been accomplished. Laurie Benson, BSN, executive director of the Nurses on Boards Coalition (NOBC), shares the purpose of NOBC, why it is important for nurses to be a part of boards and what nurses bring to the table that other healthcare workers do not. Here are five tools to help anyone in nursing be a leader to their team and their peers without having an elevated title. When nurse recruiters at Greenwich Hospital were struggling to fill OR nurse positions in 2016, Reynaldo De La Cruz, RN, CNOR, suggested starting a new residency program. In a first-of-its-kind study, the University of Pennsylvania School of Nursing’s Center for Health Outcomes & Policy Research (CHOPR) has examined nurse satisfaction with EHR systems and the concurrent effects of EHR adoption level and the hospital work environment on usability and quality outcomes. Officials are pursuing potential discipline against 25 nurses who helped administer excessive and possibly fatal painkillers to dozens of Ohio hospital patients. The Ohio Attorney General declared that the nurses should have questioned an intensive care doctor’s order for those high doses. Many healthcare providers and administrators are not eager to upend their standard model for care delivery, therefore only a fraction of hospitals and health systems have adopted telemedicine. Consequently, in the coming years, they could lose patients to the burgeoning market of convenient-care options. According to a new study by researchers at NYU Rory Meyers College of Nursing, new nurses are predominantly working 12-hour shifts and nearly half work overtime – trends that have remained relatively stable over the past decade. Employ the power of online professional networking! Nurses Lounge is all about bringing nursing professionals together in a way that advances our profession. Join TONE’s Lounge today! The cost is free, but the value is priceless! 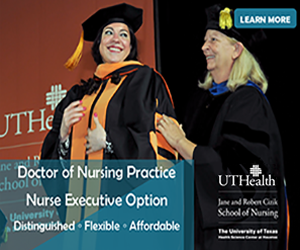 Your destination for exciting Nurse Executive job opportunities and the best resource for qualified candidates within the nurse executive industry. Visit the TONE Career Center today! Approximately 100 Veterans Affairs Department nurses from across the country rallied outside the department’s Washington, D.C., headquarters March 15 to protest the leadership of Secretary Robert Wilkie, the department's 49,000 vacancies and the Trump administration's crackdown on their union, National Nurses United. TONE member Debbie Cline, MSN, RN, CNI, OCN, NEA-BC, associate director of Nursing Workforce Planning and Development at the University of Texas MD Anderson Cancer Center, shares her insights on recruitment, noting that her department has purposefully increased the number of students coming through for clinicals from 100 a year to over 1,400 a year since 2006. HCA Healthcare is now the majority stakeholder in the parent company of the Louisville, Kentucky-based Galen College of Nursing, a private enterprise that is one of the leading nursing schools in the United States. Founded in 2000, the Doctors Orchestra of Houston is one of a few community orchestras in the U.S. that has health professionals as musicians.